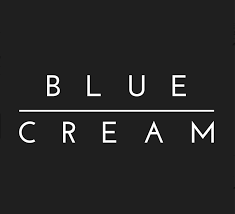 BLUE & CREAM (B&C) is a Hamptons based multi-label Mens & Womens retail clothing store. Since opening it's first retail door in Spring 2004, B&C has built a devoted customer base and garnered massive media attention for it's unique product mix, shopping experience, and celebrity clientele. B&C is the brainchild of entertainment marketer Jeffrey Goldstein who defined the B&C lifestyle by appealing to the Hamptonite's Jet-set existence. Leveraging an extensive public relations, entertainment, and communications network, Jeffrey has captured a niche in the highly competitive retail market. Today, B&C is a lifestyle brand that transcends the 3 retail stores it is currently operating. In addition to the primary business of operating retail stores, the B&C Company has expanded into private label design of exclusive B&C T-Shirts, Dress Shirts, and Denim.